Ben Josephson of Trinity Western University and Mark Barnard of Oregon State work through various attacking form aspects. 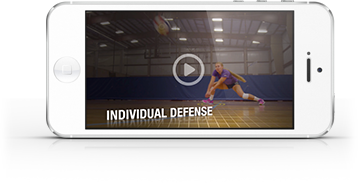 The angle of the approach, the footwork, the arm swing, and the rotation of the shoulder all are critical in creating a successful attacker. Josephson delves into the mechanics of the angle of the approach and the cross-step to create a greater range of angles that can be attacked. Barnard gives an in-depth look at the arm swing and how to land on both feet, as well as how each player requires a different tempo in their approach to maximize their efficiency.